5 1/2 x 3 1/2 in. The Bell was cast and hammered in Spain in 1356. Brought to Santa Fe over 150 years ago. Placed in San Miguel church in 1848. Is of copper, silver, iron and some gold, and nearly four inches thick. 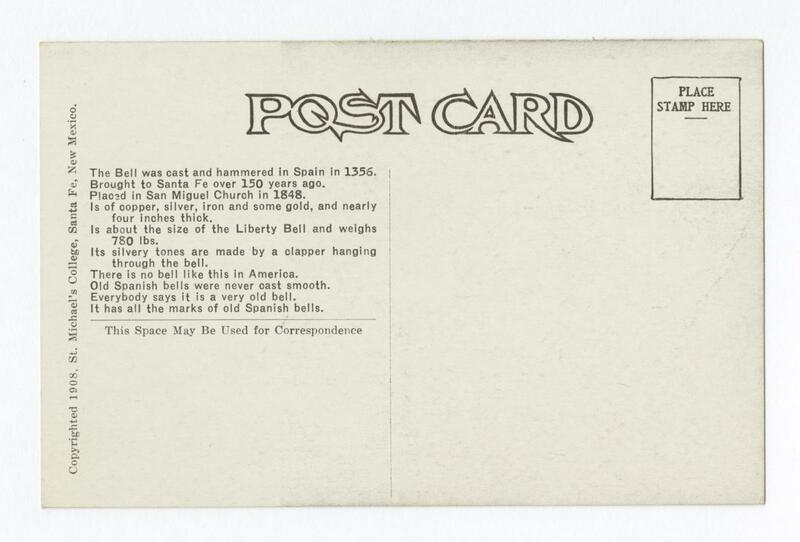 Is about the size of the Liberty Bell and weights 780 lbs. 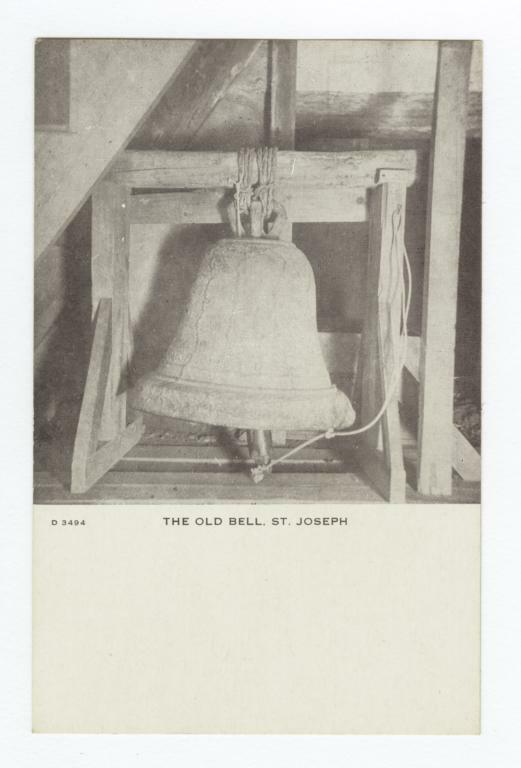 Its silvery tones are made by a clapper hanging through the bell. There is no bell like this in America. Old Spanish bells were never cast smooth. Everybody says it is a very old bell. It has all the marks of old Spanish bells. Old Bell, St. Joseph, MRL 10: G.E.E. Lindquist Papers, 51, 909, The Burke Library Archives (Columbia University Libraries) at Union Theological Seminary, New York. 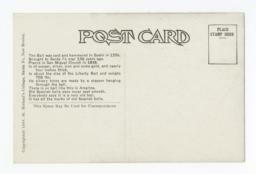 Can be viewed at http://lindquist.cul.columbia.edu:443/catalog/burke_lindq_051_0909. Web accessed 23 Apr 2019.